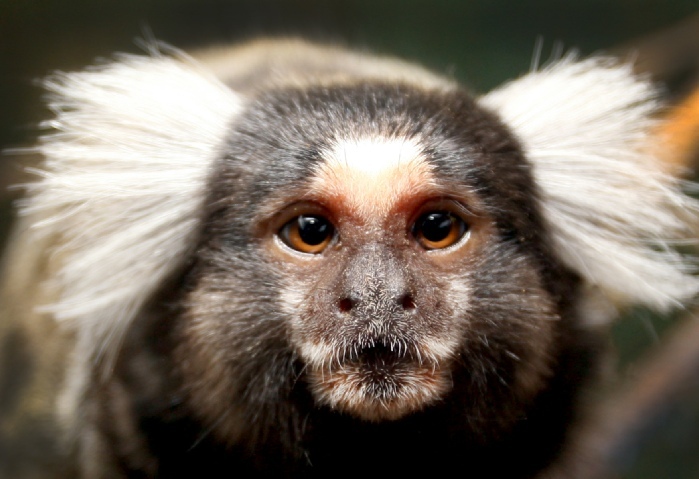 Marmosets are small New World monkeys comprising twenty two species, all of which are indigenous to the Amazonian regions of South America. They are often kept as house pets. 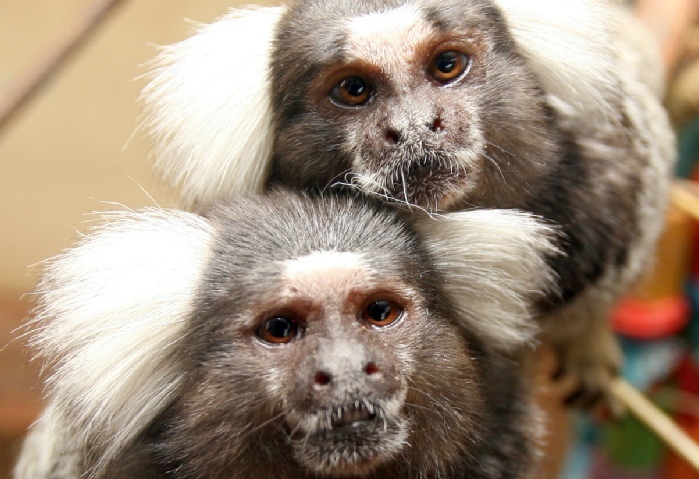 Marmosets are closely related to Tamarins and both have fine, silky, multi-coloured coats. Marmosets are arboreal (tree living) animals.Their hind legs are specially developed for holding onto a limb while reaching for a piece of fruit or an insect and their sharp claws provide a sure, steady anchor. They are forest dwellers but are not found in mountainous regions. 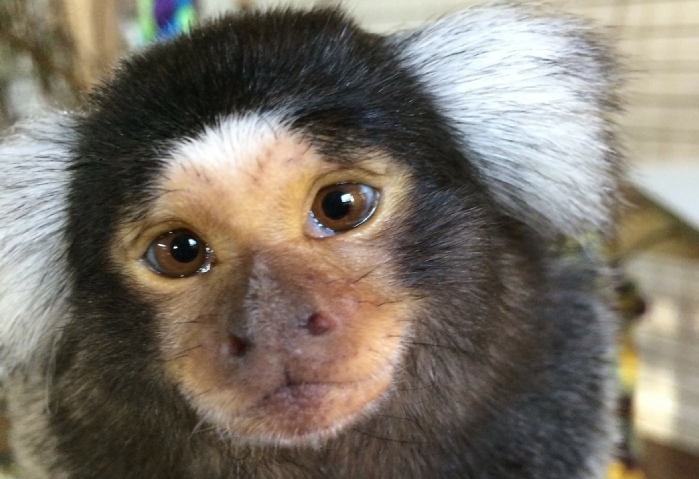 Marmosets and Tamarins are diurnal (active by day, sleeping at night) and gain their nourishment primarily through fruits, augmented by nectars, flowers, saps, gums, and small animals such as frogs, lizards, insects, and spiders. They have also been known to eat leaf buds, but not mature leaves. Although the tails of these primates are very long and substantial in relation to body size they are not prehensile, and are used only for balancing while climbing, leaping, and running. They are very agile creatures, crossing from tree to tree by running along branches at incredibly high speeds. Today only Bolivia, Panama, and French Guinea still permit their export, but many are still found in laboratories. Click here to read about Denzil and his friends at the Sanctuary.